By the time the soaring mountains of the Isle of Skye appeared on the horizon it was clear my relationship with V. was destined to plummet. In a matter of about three days we had succeeded in making the transition from heady student days enamored rapture to a low grade form of loathing. Even for me this was some kind of record. If I could trace the schism to one particular moment it would be the instance when I stepped out of the shower and onto V's towel at a bed and breakfast in the Lake District. Just an hour we had walked up hill from the waters of Windermere in a relatively happy mood. Yet for some reason V freaked and the resulting bad blood kept surfacing on strategic bends in the Scottish hills. I have always loved islands but the brooding hills of Skye failed to heal the rift. We sat for what seemed like tortuous hours in a low ceilinged bar and drank in vain to recapture the magic. Overnight we had become one of those perfunctory couples who can share a meal in a restaurant with barely a grunt or a glance in each other's direction. The next day when we encountered two Americans who needed a lift, we both almost bit through our tongues in our eagerness to offer them a ride round the island, even though my small red car was hardly up to the task of accommodating these two wholesome guys who had recently returned from some kind of military service. 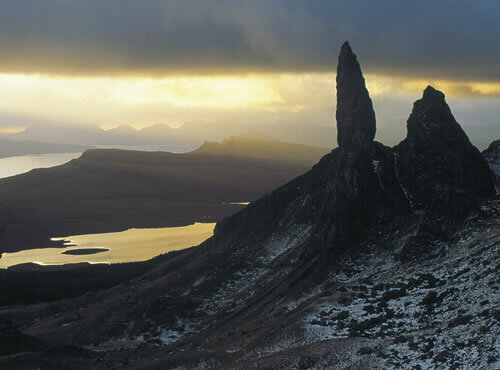 On winding roads I drove north hoping to catch a glimpse of the erriee pinnacles knows as the Old Man of Storr. Sadly mist and a curtain of gray rain hung over the mountain; but at least the pair formed a wholesome American buffer between V and myself. Unfortunately when I pulled to the side of a road that narrowed suddenly in place, to let a car past, my inadequate car became stuck fast in a bog. I could see my approval rating with V. that had already sunk to single figures plummeting into the minus zone thanks in her expression that was about as welcoming as the misty rock faces of Skye. In contrast the Americans seemed like dependable sorts who would never allow their cars to get stuck in a bog and would probably be far too considerate to step on towels for that matter. Years later I heard my (by then long ago ex) girlfriend had ended up marrying an an American. I never got a chance to check out his towel stepping credentials. A long line of cars built up on that dreary day on the Isle of Skye before a man with a rope drove past and stopped to put me out of my muddy misery. The Americans declined a lift back to the mainland the next day and the bickeringfest resumed. I never went back to the Isle of Skye but I always wanted to return on a clear sunny day when I could walk up to the Old Man of Storr and see the shining sea beyond the shaggy backs of the hills. 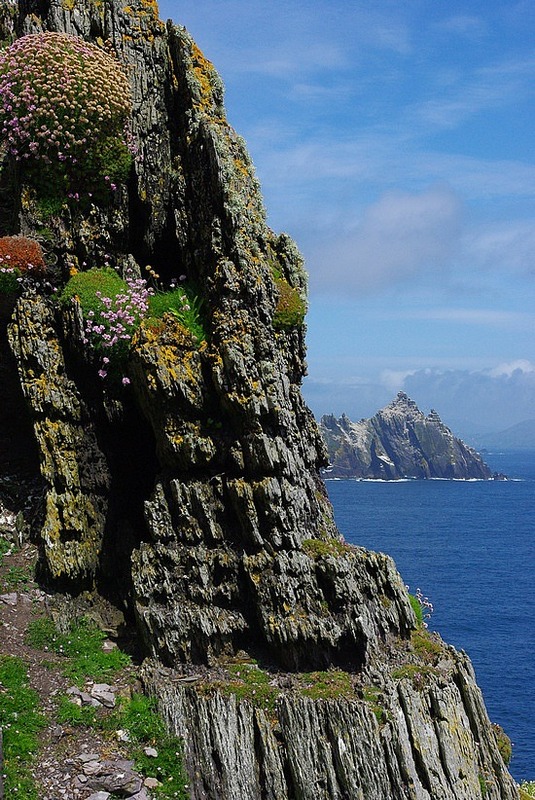 Islands have held a special attraction for me for many years be they the enchanted outcrops in the middle of lakes or formidable rock formations which gulls wheel over. They encapsulate the idea of escape and solitude and coming to terms with ones own thoughts. The remote island that Robinson Crusoe was shipwrecked on in Defoe's novel is often seen as a template for western imperialism, while the island William Golding set The Lord of the Flies on was used as an allegory for concepts of civilization and the descent into savagery. The Irish poet William Butler Yeates depicted a small island on the Lake of Innisfree as a place of perfect harmony and solitured surrounded by the beauty of nature. There's some debate about how an island can be classified. Great Britain is, of course an island, but it's too large to be seen as a remote self contained place of the kind Yeates had in mind. Here are some of my favorite islands. 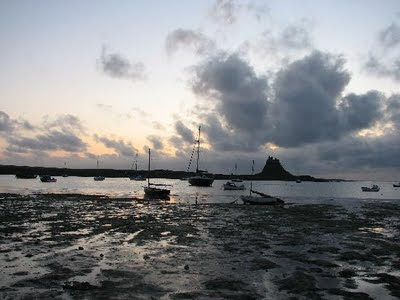 1 - Lindisfare, England - with its ruined monastery and castle on a high rocky knoll, Lindisfarne, also known as Holy Island is an empty and magical place of vast sand dunes off the cost of Northumbria that feels like an escape from the world. The island is famous for the Lindisfarne Gospels. 2 - Burgh Island, England - This small island of the coast of South Devon is accessible by a tractor at low tide. It boasts a famous art deco hotel and has associations with Agatha Christie. 3 - Sanibel Island, Florida - off the coast of Florda, Sanibel is known for its pink beaches and sea shells. Although over touristy in places, it boasts a large unspoiled nature reserve. 4 - Ocracoke Island, North Carolina - the end of a long chain of barrier islands on the Outer Banks, Ocracoke is a place where time seems to have stoody still with a small lighthouse and fishing village. 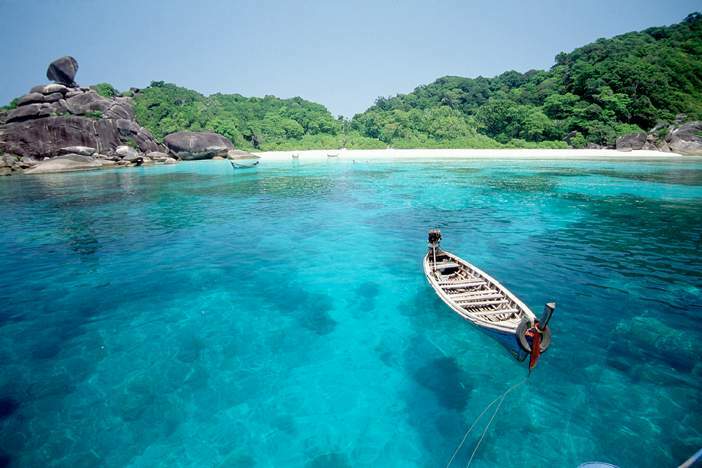 5 - Koh Samui, Thailand - Koh Samui has night life, temples, unspoiled beaches and lush jungles. It's a bit like South East Asia in miniature. 6 - Capri, Italy - the boat trip to the famous blue grottos may have been a con, but Capri is still a gorgeous spot, although you have to be extremely rich to live here. 7 - Skellig Michael, Ireland - this inaccessible rock off the coast of Kerry boasts an amazing monastery that clings to the vertinginous sides. 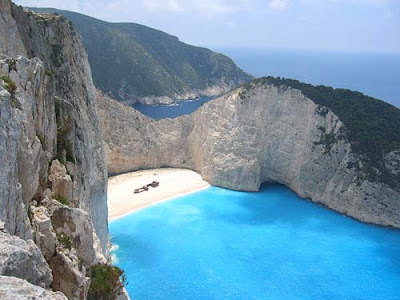 8 - Zante, Greece - Zante or Zykynthos is a firmly on the package tour itinery but an olive grove, the lush mountains and turquoise seas are never far away. It's shipwreck under towering cliffs on the west of the island is one of the most photographed images on travel publications. 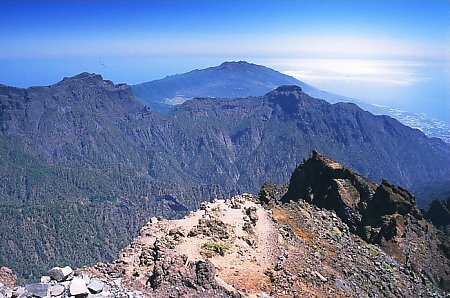 9 - La Palma, Spain - the lushest and most unspoiled of the Canary Islands, La Palma boasts a massive volcano, the Caldera de Taburiente, with a width of 9 km (6 mi) and a depth of 1,500 m (4,921 ft). 10 - Easter Island. Unlike most of the islands listed here, I've never been to Easter Island off Chile with its mysterious moai heads, but it's on the list. This post is lovely. I wish I could visit one of these islands some day. They look like paradise! So peaceful and romantic...sigh. Great virtual tour of some really lovely spots. And, I can relate to being stuck in a small car with someone you're not getting along with (to put it mildly). I had a vacation or 2 go that route. Nothing to do with stepping on towels though...that's a puzzler. Sounds like a lot of great places to visit! You really out did yourself with "i." 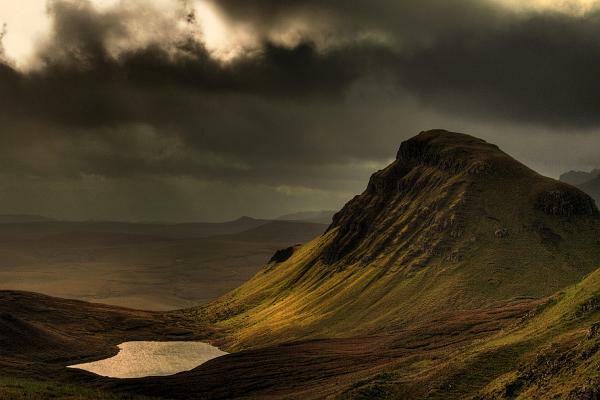 I was caught up in the drama of the Isle of Skye and was adding it to my bucket list when you unloaded a whole grocery list of wonderful places to visit. 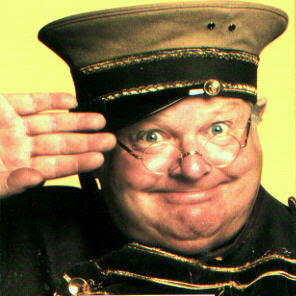 I really must dust off my virgin passport and get going! 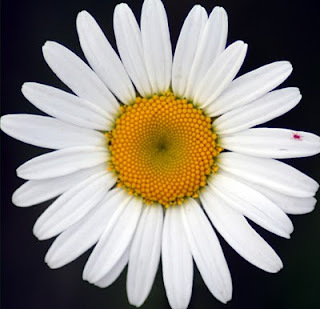 Thanks for a great post. My head is in the clouds now! I want to get back to Thailand! Haven't been to Koh Samui, but Phuket and the Phi Phi Islands. Lovely post. Another A to Zer, another follower! La Palma is on my list of places I want to go. Wow, beautiful pictures and a tasty tea and tarts of a post to go with it. Been meaning to tell you... I'm enjoying your alphabet bloggies. I think you're one hell of a writer. This post is lovely lovely. You alphabet bloggers are doing fabulous! And I have to say if the towel wasn't on the floor it wouldn't have been begging to be stepped on. I've been thinking about Sanibel for years. My husband and I have been thunking around an idea to do some traveling around the States one of these years. Those places are magical! I wish I could visit those islands sometime. Thank you for a delightful post. thanks Mollie - you are too kind. Glad it's keeping you entertained, Marnie. The trick is to keep going. thanx e.a.s. - fraid the beauty didn't cut it. For sure deborah, you should, Sanibel is nice. thanks Betty, well you probably have more scope than me right now. Your list is like "One Hundred islands to visit before I Die"! My favorite is Tobago. Spent a summer working there for the Smithsonian. A total tribal experience, rum and all.